Modern Calligraphy for Beginners | NYC — Lillian Liming Design Co. In this beginner-friendly workshop, we'll explore the beautiful art form of modern calligraphy using a pointed pen. 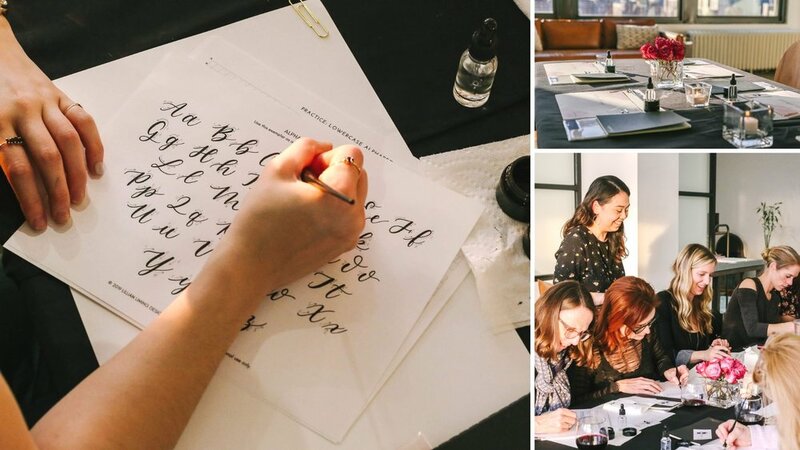 Perfect for those looking to learn a new skill or or simply enjoy a relaxing afternoon with friends sipping rosé and dabbling in calligraphy! We’ll cover everything from how to prepare and use your pen, nibs, and ink, to learning the foundational strokes, creating letterforms, and connecting letters to form words. You’ll receive a curated calligraphy starter kit which includes all the tools you’ll need - it’s yours to keep so you can continue practicing at home! Due to the personalized nature of these workshops, tickets are non-refundable. Please make sure you are able to attend prior to placing your order.